Home » Knowledge Base » Media Center » Exhibition » How do I save my video for proper playback on the exhibition media players? 3. In the Queue window, directly under the file name. 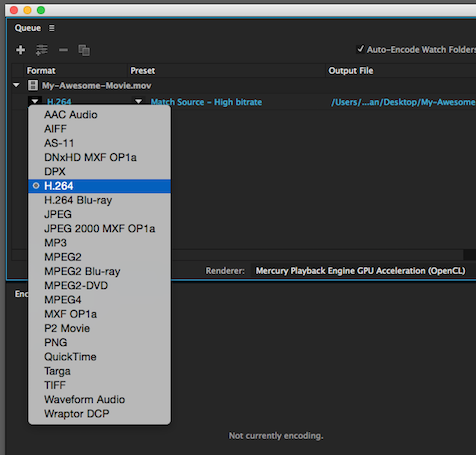 click on the first blue link and select H.264 as the Format. 5. Under the third blue text link, click and select a location to save the new file to and a name for the file. 6. 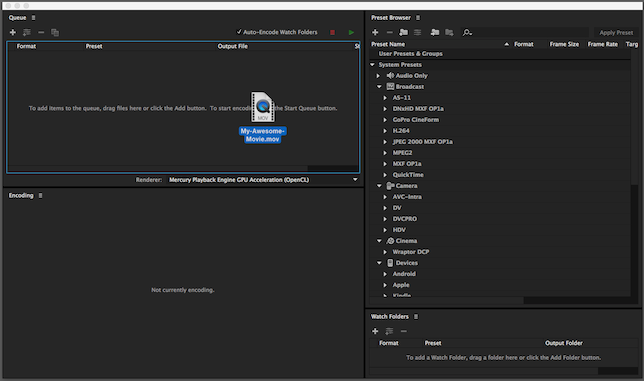 When you're ready to export, click the green arrow button on the upper-right of the queue panel to start the encoding. For instructions on how to load this file up and play as a loop on a Micca Speck media player please see this link.